Frisbee is a Wpa Roaming frontend inspired by Wpa Gui. It is also a frontend for Dhcpcd. Frisbee supports Open, WEP, and WPA Personal wireless networks as well as Ethernet. Support for AdHoc networks is still mostly untested. Frisbee scans constantly for changes to your networking environment so you won't be dropped. Frisbee can roam between wireless networks automatically. It can also detect any time you plug in your ethernet cable and connect automatically. Frisbee_tray knows if you're connected by wired, wireless, or modem and the icon changes to indicate which it is. I've tested it briefly on Lupu, Wary, and Puppy 4.2. To install, first get the correct wpa_supplicant pet. Wpa_supplicant is picky about openssl so it needs to be compiled on the target platform. The pet for Lupu only contains symlinks, but the wpa_supplicant in other puppy versions will not work with Frisbee. (Wpa supplicant needs to support the '-f' option for logging). Then download and install my patched dhcpcd. The patch makes dhcpcd wait 6 seconds before disconnecting you when your connection drops. This is needed for a smooth experience in cases when you have a weak wireless connection. Then install the xpupsay pet. I use xpupsay for notifications. Frisbee could be modified to use the splash program of choice, but xpupsay is the least work for me since that's what I use in Fluppy. Then install the Frisbee pet. It'll probably work with out a reboot now. If you'd like to report a bug, go into Wireless Diagnostics and generate the diagnostic data. You can then attach the tarball it creates to your post. The dhcpcd patch has been improved. Now you can configure the drop timeout from the GUI. Drop timeout now only affects wireless networks, ethernet should respond to changes instantly. Bugfix for the tray applet not working right when you're using a static IP. To upgrade from Beta 1 to Beta 2 you must update both the Frisbee pet and the dhcpcd pet. The other pets are unchanged. Here is the source code for the binary parts. Ha Ha.....really cute....and works great! Thanks. Edit: Just tried it an older laptop running Lucid 231 that I had to manually reconnect all the time to a wireless network. Frisbee finds and connects automatically. But the wpa_supplicant pet for puppy 4 is not right, it won't unpack as the folder in the pet file does not match the pet file name. So I attached a fixed pet package. Wireless working OK on the Asus Eeepc 701 with Puppy 5.2. Is the BTOpenzone private too? BTOpenzone seems to have no encryption methodology . . . It shouldn't be connecting to any wireless networks automatically. Any size difference between scripts would be negligible. The main difference between Frisbee and other scripts is that I offload all the heavy lifting to wpa_supplicant and dhcpcd. All Frisbee does is start wpa_supplicant and dhcpcd and help you configure them. The point of Frisbee is to be as simple as possible and easy to maintain. Is this app better than Pwireless? If I install wpa supplicant for lupu 5.2, will it damage my other network managers? The Lupu wpa_supplicant pet contains only symbolic links - it makes no changes to existing networking infrustructure. As far as better goes, judge for yourself. I made a one-click Pet for Lucid 5.2 that contains frisbee, dhcpcd, xpupsay, and the wpa-supplicant--everything needed. My experience was to install the pet and then go to disconnect my wireless, but the Frisbee install had already done it. Then I rebooted--I am not sure that is necessary but it's always safe. On reboot, I started laughing. xpupsay is perfectly in the spirit of puppy imho. Plus, I set up a profile for my wireless (entered the password in other words) and everything just worked. I've been using Frisbee in Puppee 4.4 rc7 and briefly 8. Firstly I have found it to be much better and easier from the beginning for hooking up to my WPA-PSK network, so that's great, as opposed to pwireless2 which was not so great. 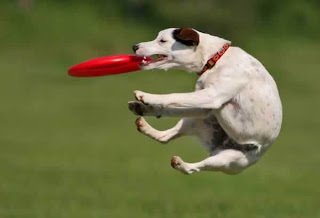 Also, Frisbee connects perfectly to my phone via its Ad-Hoc wireless access point, so that's a great plus also. Now for the (minor) downsides. There seems to be an issue holding the connection to the internet. In my house, if using the eeepc at the opposite end of the house from the router, the internet drops out much more frequently than with the previous puppeee with pwireless. Strangely, the connection doesn't drop out as often when connected to the LAN to access movies or such. I don't know if you've ever experienced that kind of behaviour, or if its just my network. Anyway, in a situation such as this where it drops out, the network still shows up in the networks found box, but doesn't connect automatically. Perhaps a "connect" button could be added to do this. I can press the reset dhcp button, but that seems to take a lot longer than necessary(?). 2 Thumbs up. Works well for me. I am running Lucid Puppy 5.2 on a Compaq Presario with a Turion CPU. The wireless adapter connected great. I really like the puppy speaking. All we need now is audio.